Why feel so helpless when lost or forgot windows administrator password? How to crack Windows password is a hot topic that spreads among the common computer users. If you’re looking for cracking Windows password as you have forgotten the windows password, read the reset of this article and find out how you can crack Windows Admin password. If you log into a limited account on you target computer, then follow the steps below to crack Windows password. PS: Don’t forget to copy the contents of hacktemp back into the C:\windows\system32 directory to cover your tracks. Reboot your computer and go to Safe Mode by pressing “F8” button before the Windows boot screen appears. Select “Safe Mode” on the screen and then press Enter. Your computer will start in Safe Mode. Find the icon for Administrator account. If you didn’t change the default settings of your system, the administrator account should no password protected. Login as admin, press “YES” at the prompt asking if you would like to continue using Safe Mode. Continue go to start and then click on the control panel. 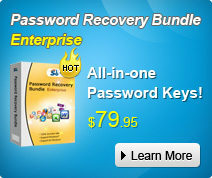 Here you can change any of user account passwords. Reboot your computer and then login with the new hacked windows administrator password. A Windows Password Cracker software. 1. Install this Windows Password Cracker on the computer that you’re just using. If you have change the build-in administrator password and now forgot it, you will be unable to hack forgotten windows password by option 1 and option 2. Then option 3 is your best choice to bypass the locked out computer, it is the most effective windows password hacking method on the market. Don’t take my word for it, why don’t you have a look for this utility and try to crack windows administrator password by yourself? Try this Windows password cracker. How to Crack Windows 7 Password by yourself?